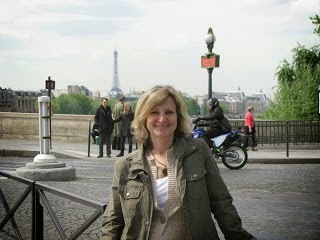 Kerry Hammond is here to tell us about the 18th book in the Ian Rutledge WWI series. 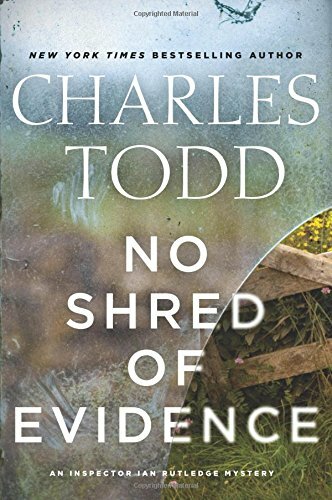 No Shred of Evidence by Charles Todd was released on February 16, 2016, by William Morrow Publishers in Hardcover. It is the 18th book to feature WWI soldier and Scotland Yard detective Ian Rutledge. I am a huge follower of this series and have read each and every installment. I always look forward to the next book and jump at the chance to review it. Then book begins one autumn day in 1920, in a coastal village in Cornwall. Four young women from well-known families go out in a rowboat to pass the afternoon. They see a local man in another boat and he is sinking and calling for help. They attempt to provide assistance and the man is severely injured as he is pulled out of the water with the help of a local farmer. The injured man is in a coma, and the local farmer claims that the four girls attempted to murder the man rather than save him. When the injured man dies, the attempted murder charge becomes one of murder. If the witness is to be believed, it is a clear-cut case of murder. But if the witness is lying, four innocent women could be convicted of a crime they did not commit. Scotland Yard sends Rutledge to investigate when the original inspector dies of a sudden heart attack during his investigation. Rutledge is suspicious when he finds out that all of his predecessor’s notes are missing, and he must re-interview each and every person involved in the case. The conflicting accounts of the afternoon make it extremely difficult for him to determine whether the witness had a reason to lie, or whether one of the women had a reason to kill. One of my favorite aspects of an Ian Rutledge novel is Rutledge’s ability to verbally put people in their place. He investigates murders in small town settings, where there is a high level of local gossip and conjecture. He often sees the accused convicted in the eyes of the villagers before they even see their day in court. The comments made by these people can be frustrating as they make assumptions and pass blame. But Rutledge always has a wonderful retort and I find it extremely satisfying when his comments call out the person’s prejudice or ignorance. His delivery is nothing but calm and rational, which further makes his point. I love watching him methodically investigate a crime and get to the truth. I highly recommend not only this book but the series as well.